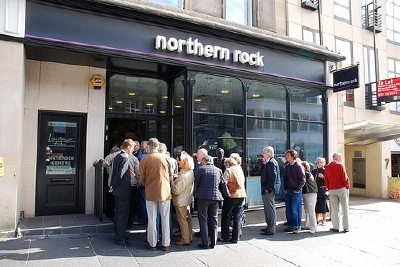 As I write, people are queuing outside a major British lender, Northern Rock, to take all their money out. Only in Britain would a run on a bank see customers forming an orderly line from the back. Reading comments in the press, it’s clearly something that many people never expected to see in their lifetimes. 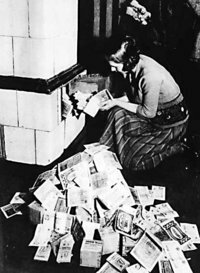 Certainly, frightened customers demanding their money from a bank they fear is going bust is a scene you’d more expect to see in black-and-white images from the 1930s rather than on the Six O’Clock News on a flatscreen TV. But that never meant it couldn’t happen. Indeed, the belief that instability and crisis is something that only ever occurred in some unreal yesterday is exactly why financial markets turn in cycles (if you wait long enough) and crises repeat themselves (if you read back enough). Is it blind panic to take your money out of Northern Rock? Not necessarily. Perhaps many Northern Rock savers are panicking, but taking your money out is also a perfectly rational choice. Just because it walks like a lemming and jumps off a cliff like a lemming, it doesn’t mean it is a lemming. What secured the hapless lemmings’ reputation was a Disney movie, White Wilderness, which appeared to show the beasties leaping off a glacier to their doom. In reality, it was footage of rather callous film-makers hurling their just-purchased lemmings into the sea. The lemming then is a more complicated creature than it first appears. As is this unfolding credit crisis. Why should I leave my cash in a riskier operation when there are safer alternatives available (such as the 100% secure and government-backed National Savings)? After all, this credit crisis is a direct result of bankers themselves not trusting each other enough to lend. Moreover, unlike the banks, everyday savers who do decide to leave their money in Northern Rock are not receiving any benefit (such as higher interest rates) for taking on the extra risk that’s emerged that they could lose some of their savings. Equally, why should I wait for another bank to step in to acquire Northern Rock and ensure the security of deposits when I can secure my cash myself? Sure, in the doomsday scenario most Northern Rock savers would get most of their money back – indeed very probably above and beyond the Financial Services Compensation Scheme’s £35,000 limit, for reasons of national interest. But why take the risk? It could well be a pain claiming and then waiting for compensation. Who knows? We haven’t had people queuing in the streets outside banks for generations. We’re into unknown territory. What does a depositor owe Northern Rock? Banks have ceaselessy encouraged us to jump ship with great rates for new customers, whilst shafting existing customers by letting the interest paid on their older accounts dwindle away to nothing, and even refusing to move their money into the higher rate ‘teaser’ accounts if they do happen to notice. They’ve turned banking into another branch of Buyrite Britain PLC. Well, if you live by the sword, you die by the sword. Indeed, it’s almost amusing that a company that’s trailblazed a new banking model / carelessly abandoned centuries old banking practices (take your pick) is now asking its customers to loyally stand by it. Rightly or wrongly, banks no longer care for customers in the old-style paternal way. Why should customers care about a bank? Er, yes it does. But whose fault is that? There are people queuing in the streets outside your branches, Mr Applegarth. They can’t all be BBC reporters. Publicly at least, Northern Rock doesn’t seem to grasp that its vulnerability has come about because of its business model. A banker might very well say: “Ah, but we’re in a credit crunch, normal money market conditions aren’t like this at all”. But surely one of the cornerstones of a national bank should be that it has the financial strength to withstand ALL reasonable conditions? Most UK lenders aren’t suffering near-fatal duress, despite the credit crunch, because most (though not all) banks follow a relatively sounder business model. 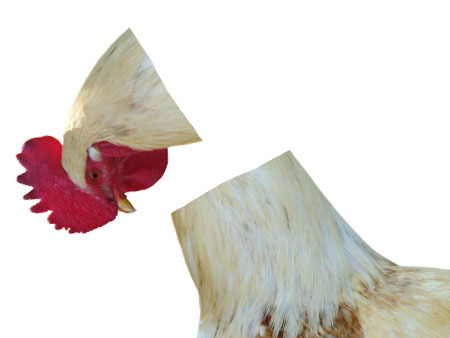 For most, these are unusual but not life-threatening conditions. I don’t see why for its depositors, Northern Rock’s position is any different to me as a small businessman waving overdue but unpaid invoices at a worried creditor and asking them to trust me. A potential cashflow shortfall is a potential cashflow shortfall for any company, whether it’s a bank or a lemonade stall. However you dress up Northern Rock’s position, the fact is it went to the Bank of England because at some point in the future it might not have had sufficient capital to meet its obligations. As such, the bank’s problems are only guaranteed to be temporary because the Bank of England has agreed to stand behind it. When a lemonade stall looks like it might run out of money – despite having copious stocks of lemons and plenty of customers – the stallholder is to blame for badly managing his business. Whereas when it happens to a bank manager, he seemingly believes it’s appropriate to blame butterflies in California flapping their wings. Don’t be embarrassed about moving your money out of Northern Rock. It will almost certainly prove unnecessary, but your finances are your responsibility and you should do what you feel is best. The pundits now calling you a lemming will be just as quick to laugh if the bank goes bust. 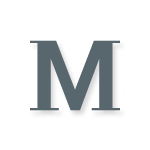 I’m relatively new to the world of PF blogs, but am learning a lot from your site – thanks! Interesting to look back at this now from 10 years in the future. I was chasing interest with the Icelandic banks and was lucky enough to be bailed out 😉 It seemed like things would change substantially after the GFC, but I’m not sure they did, after all.